Panforte, translated from Italian, is “strong bread.” It got its name for the strong spices that are used in and, in fact, was originally called panpepato (peppered bread) for its use of black pepper. 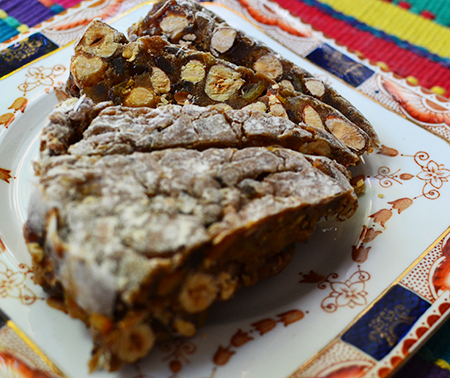 However, it is not bread in our modern sense, but a rich confection of nuts flavored with citrus peel and spices. It shows up in records as early as 1205, when it was used to pay a tax to the nuns and monks of a monastery in Tuscany. Somewhat timely for this post, as that tax was due on the seventh of February. 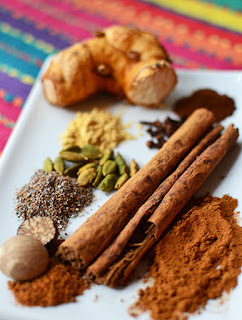 At that time, Asian spices were brought to Europe via overland routes from India, and by sea to Red Sea ports then to those in northern Egypt and the Levant. You can imagine the cost this shipment incurred, and the value of a single dish that combined pepper and citrus from southern India, cinnamon from the countries around the Bay of Bengal, cloves and nutmeg from Indonesia, sugar from Southeast Asia, ginger from southern China, coriander from southern Europe and southwest Asia, and honey hard-won from country bee skeps. Over these vast distances the goods passed through many hands with the European end of the trade dominated by the maritime merchants of the fiercely competitive city-states of Venice, Amalfi, Pisa and Genoa. No wonder panforte was used to pay taxes and tithes; how lucky were those monks and nuns to be on the receiving end! 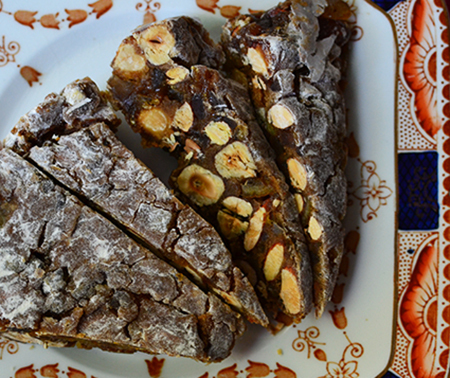 My first taste of panforte was in Siena, Italy, in autumn of 1992 when I was there with my friend Marie-Lise. We had come to Italy from Paris, where she lived, to visit Florence, Siena, and Vernazza (Cinque Terre). The weather was brisk, often rainy, and, on more than one occasion, we took shelter in a caffè from the cold and damp to enjoy a steaming cup of hot chocolate and a thin slice of panforte. Although there are all variety of fruit cakes, fruit breads, and such around the world, this one is a traditional Tuscan dessert. With the exception of our friend Laura's plum puddings, panforte would be my favorite. Because of the nuts and citrus, it is a wintry dessert, giving rise to an association with Christmas. Somehow, in the United States, panforte is available solely at Christmas. What's up with that, USA? I want to change this, as a slice of panforte is good with a hot drink on any winter day or, indeed, on any day of the year… excepting those days prior to or following dental work. Markipedia (who provided much of the historical background for this post) and I put this recipe together from several we found online. Mark had a specific mixture of spices he wanted (no New World ingredients, no chocolate! 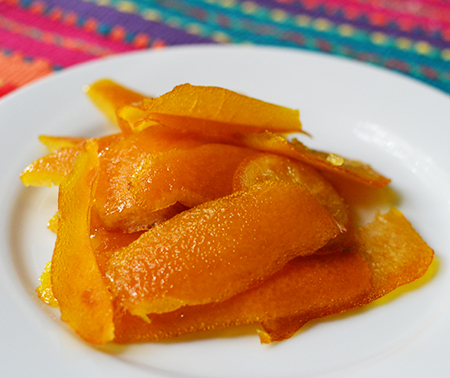 ), and I wanted to use only the traditional candied citrus peel (not adding the figs and apricots belonging in other Italian confections). Our friend Barbara and I made our first panforte this Christmas, and both felt we hit the nail on the head. Now that it has mellowed, she would add more pepper (she is especially fond of panpepato); I like it as is but am not at all averse to more pepper. 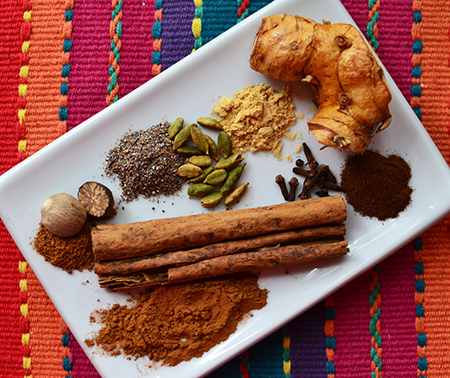 Mark finds the spice blend perfect, with no one flavor dominating. Shortly after Christmas, Mark and I served it to friends from Italy, one of whom swears he doesn't eat sweets. I had cut the slices into cookie-sized bites and, after the first three nibbles, he was ready for more. To me, having our Italian friends approve, is the jewel in this spicy crown. Preheat the oven to 325°F. 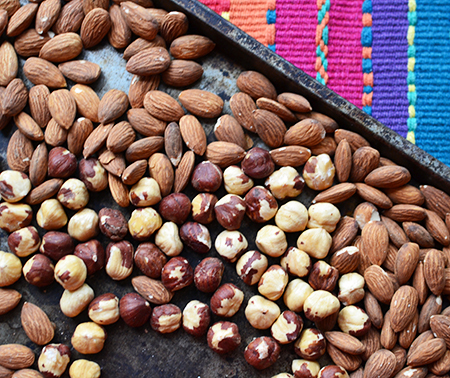 Place the almonds and hazelnuts on a baking sheet then toast them in the oven for 10 minutes. Remove from the oven and set aside to cool. 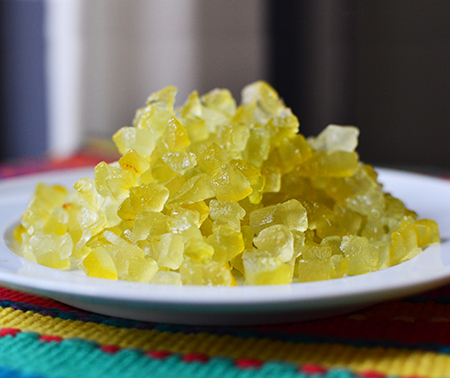 Roughly dice the candied citrus peel ¼-inch pieces. Place the diced peel into a large glass bowl, add cooled nuts; set aside. In a medium bowl, mix all the spices and the flour. 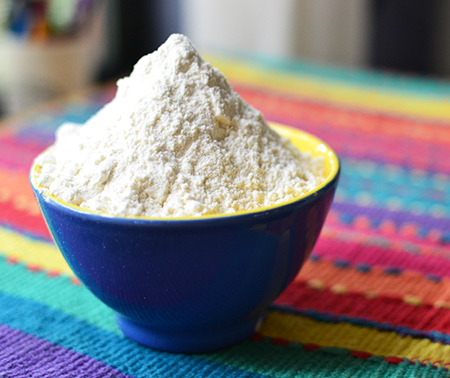 Stir well so that all the spices are evenly dispersed through the flour; set aside. Grease an 8-inch cake pan and line the bottom and sides with parchment. 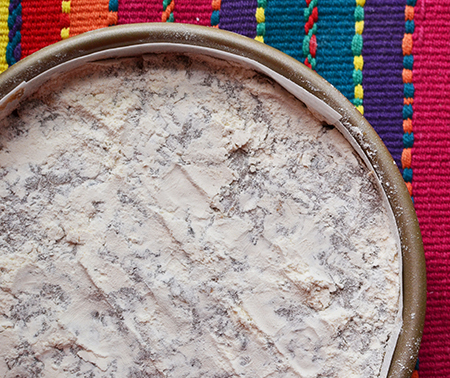 Cut one sheet of wheat starch paper into an 8-inch circle and place on top of the parchment. Cut 1½-inch strips of wheat starch paper to line the sides. Add the flour and spice mixture to the fruit and nut mixture. Mix well, using a wooden spoon, so that the fruit and nuts are evenly coated with the flour and spices. 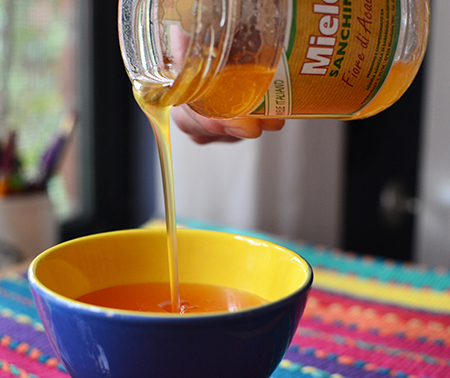 Melt the sugar into the honey in a small, heavy-bottomed saucepan over low heat. Add a tablespoon of water to help the process. When the sugar is dissolved and the contents start to bubble around the edges of the pan, remove from the heat and add to the fruit, nut, and spice mixture. Quickly mix everything together. If you mix too slowly, the batter will seize up and start to solidify. Spread the mixture into the cake pan. Press into the bottom and sides of the pan, using the bottom of a lightly-oiled glass to even it out. Sprinkle with a generous layer of flour. Pat down and compress a little more. Place in oven and bake for 35 minutes. Remove from the oven and, with a pastry brush, clean the flour off the surface. Let the panforte cool for a few minutes, then carefully remove from the pan. Place the cake on a wire rack and cool completely. Cover with foil and let it rest overnight. 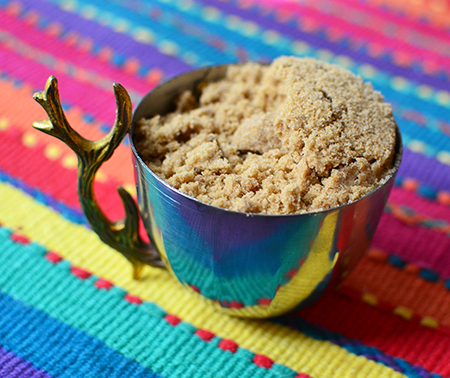 Dust with powdered sugar, if you wish, then cut into thin wedges to serve. This looks and sounds amazing, David! I've heard the name, but have not had panforte. I must make this..
OK, Googled wheat starch paper - came up empty handed. I should be able to make this without it, yes? Wow - I have had my wheat paper since the late 1990s! I had no idea it had just about disappeared! Rice paper works, too. Here is a website that sells it in sheets: http://www.camilascake.com/en/productos/productos-comestibles/edible-wafer-paper-8-x-11-rectangle-kosher.html But, form looking now at 15-20 recipes this morning, most everybody uses parchment! Thanks for letting me know it was so hard to find, Cathleen! Thank you, David! Parchment it will be for me! Have a wonderful week! Let me know how it works! I plan to make another this weekend, but still have a few sheets of edible starch paper left. I am about to have a chat with mine, too, Greg! Oh David, I wish I could try a slice of this! Looks divine. Thanks, Liz - we are thinking of making another soon, as it was so good. This recipe must contain the most gorgeous ingredients of all time. Wow! I love it! There was a little pretty happening in the kitchen that day, Valentina! Absolutely divine - I love this stuff! A good friend brought some over to a small gathering at our place, she's Italian and made it herself. I had one small slice and fell in love. Great thing for us was she left an entire chunk of it for us to enjoy! I seriously need to make it someday. As I said to Cathleen in my response to her - I have had the wheat wafer paper since the late 90s and have been too afraid to make this. Now that I know how easy it is, I think we will see more of them around here! Hi David, always learning something new while reading your posts. Will have to make this now I am intrigued, especially after you received the seal of approval from your Italian friends. Cheri - that approval from my Venetian friends meant the world to me! This is just amazing! I'm a big fan of Panforte, never thought I could make it at home... I will try :) Thanks for spreading the word on this delicacy, BTW! Thanks, Paolo - I am really looking forward to making another this weekend. Glad it is one of your favorites! This is (not surprisingly) and addictive dessert. Cue "panforte number two" this weekend! Once again, you have persuaded me to make something I would not otherwise have made! This looks delicious and I wish I had some now! While I said this could be had year round, there is something about out that seems cozier in the winter with a cup of cocoa/tea/coffee! Dear David, Panforte di Siena is undoubtedly one of the best Italian dessert, ever! With a cup of good espresso, this is one of my favorite desserts on this planet earth and you did an outstanding job with your presentation! Liebe Grüße von Bonn nach Tucson! Thanks, Andrea - this dessert is an absolute treat, and I can't wait to make another! Thanks, John - how luck were you to have it homemade growing up! More pepper is going in the next batch! Christina - I am surprised you haven't tried it before, even store-bought! You must! 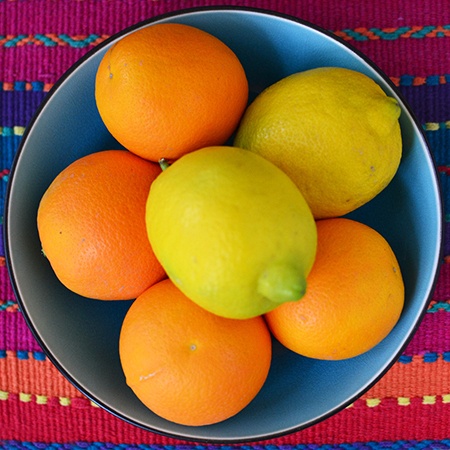 You might still be able to get some organic oranges and make a new batch!